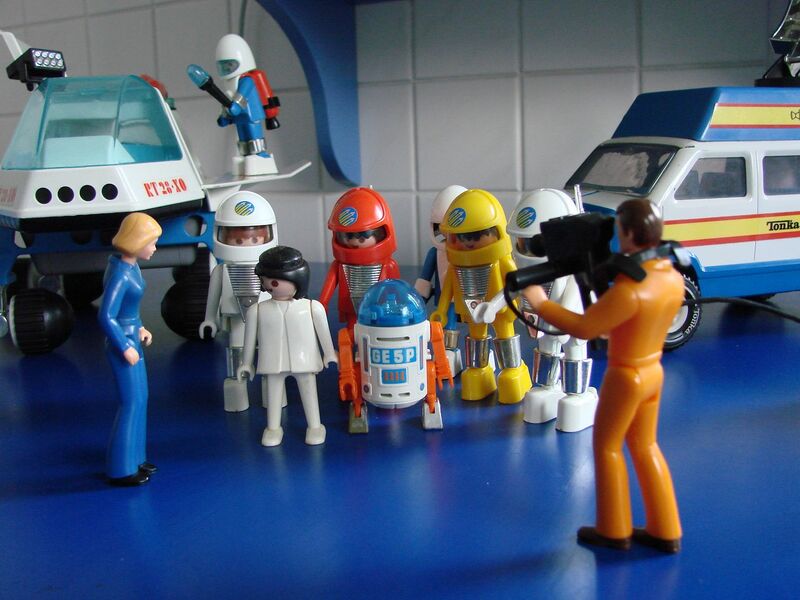 Launched in 1974, Playmobil was created by a German inventor called Hans Beck. 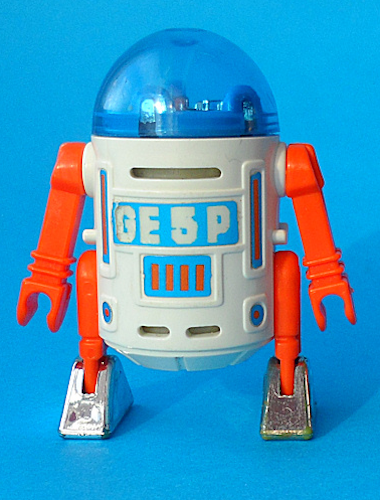 Originally a cabinet maker by trade he was approached by Geobra Brandstätte to develop a children's toy. 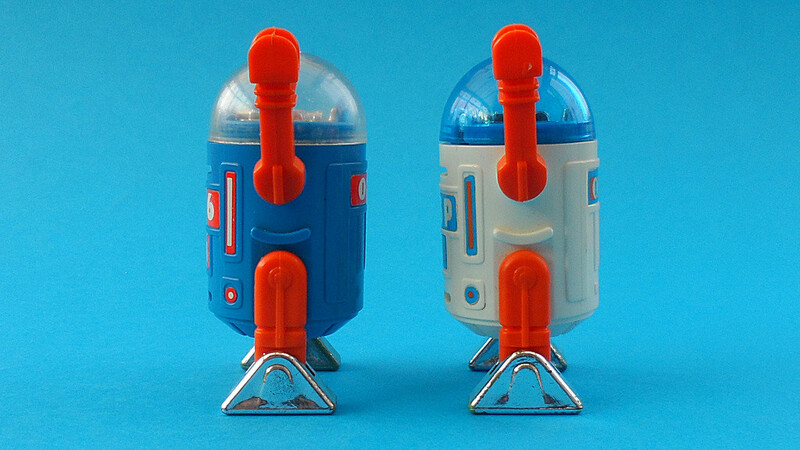 After three years in development Hans Beck created a toy small enough to fit into a child's hand at 7.5cm tall. 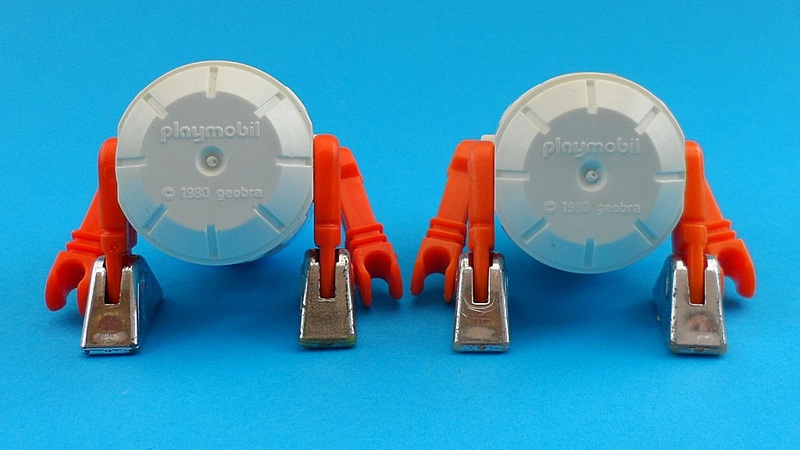 Thankfully the 1973 oil crisis made it possible for Playmobil to be considered a viable product due to the rising oil prices imposed on geobra Brandstätter who had demanded that the company turn to products that required less plastic material. 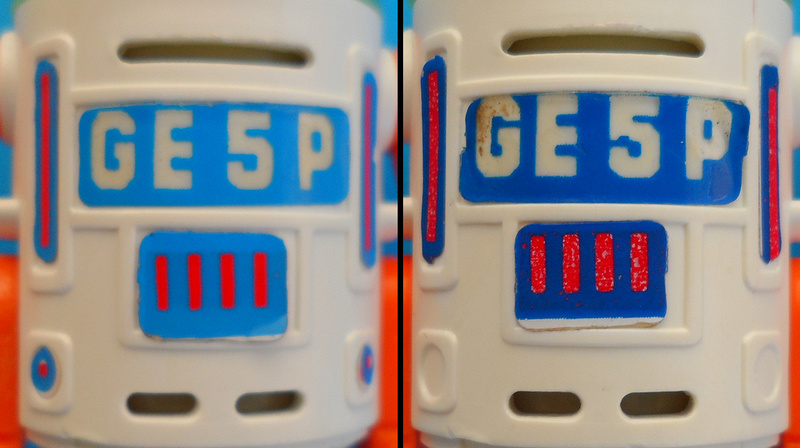 The first sets produced by Geobra from their factory in Dietenhofen, Germany featured knights, Indians (Native Americans) and construction workers, with the first shipments stocking the shelves of toy stores in Germany and Benelux. 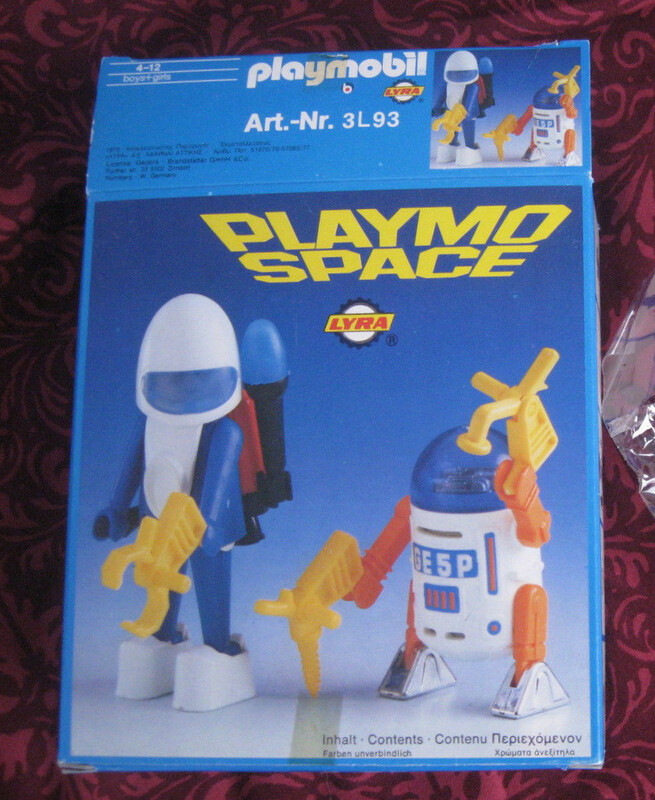 The space playsets or 'Playmospace' as they are known followed several years later in 1981. 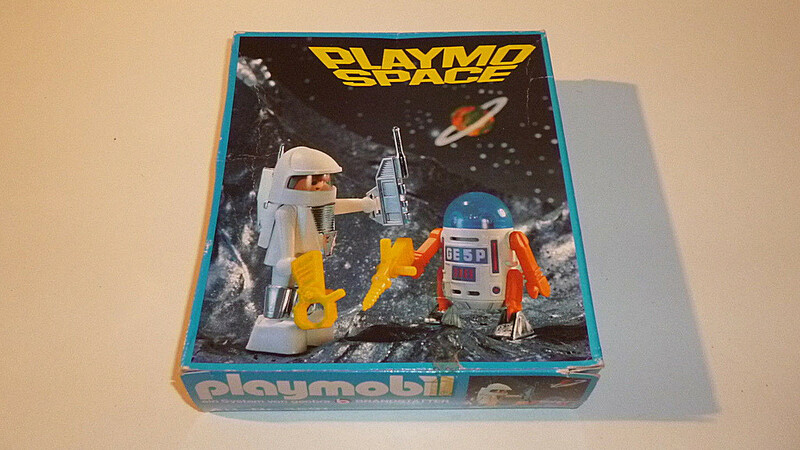 Having recently celebrated their 40th anniversary in January 2014 Playmobil has become a successful toy line and a major competitor to Lego. 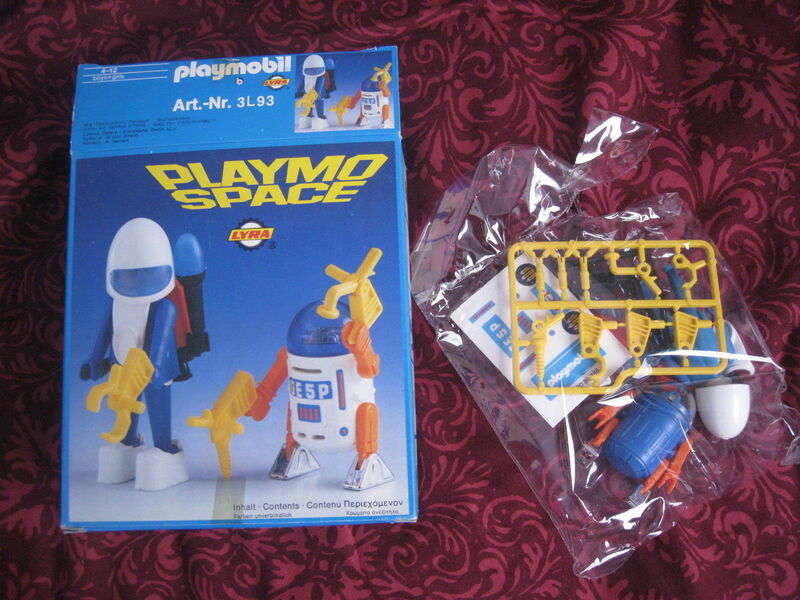 A number of different companies were licensed throughout Europe and Latin America to produce and distribute Playmobil figures. 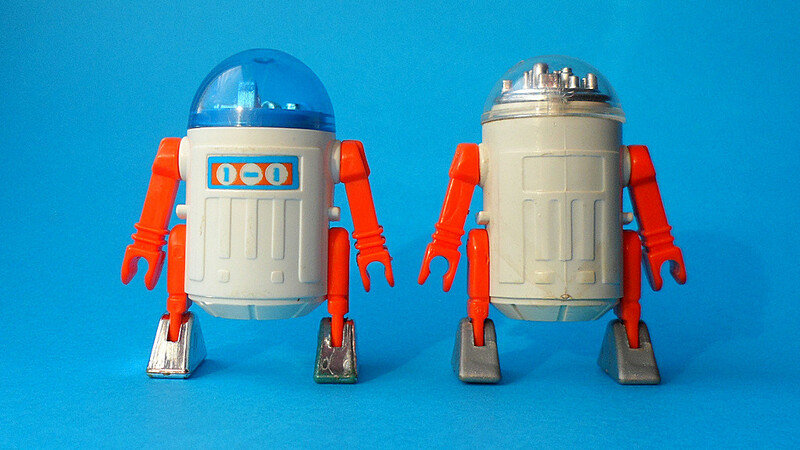 In Spain, figures were produced by the leading doll maker Famosa, and marketed as "Los clicks de Famobil". 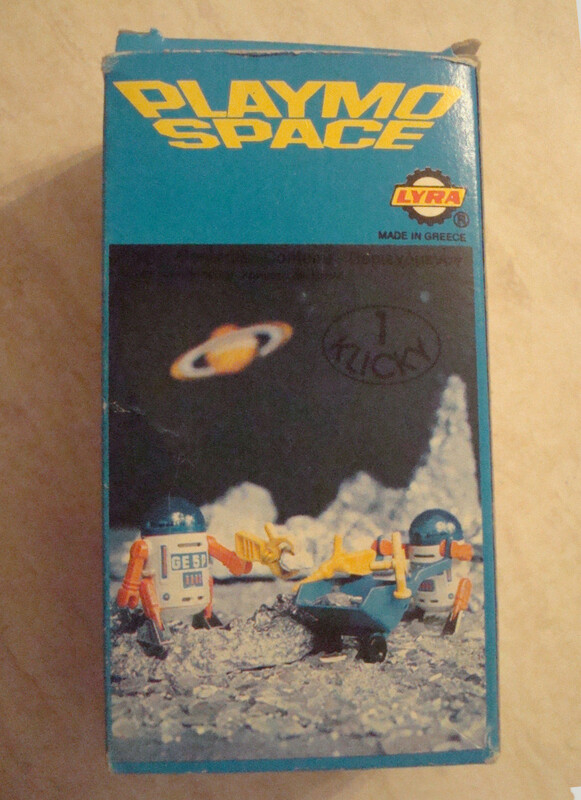 Greek figures were produced by a company called Lyra during the 1970s but unlike other licensees, Lyra did not just reproduce Geobra's sets and packaging they put together a completely different product range which included items which were not available in Germany. 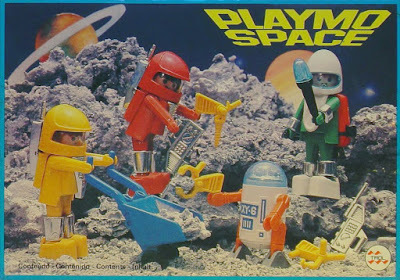 Playmobil distribution started in the United Kingdom towards the end of 1975 by Marx Toys and were sold under the brand name Playpeople. 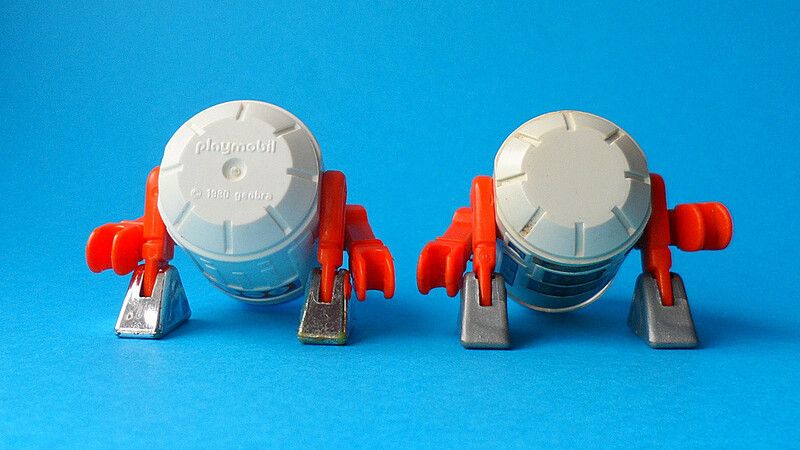 Five years later the company became bankrupt and lost its license, so in 1981 Playmobil UK Ltd was founded and continues distribution to this day. 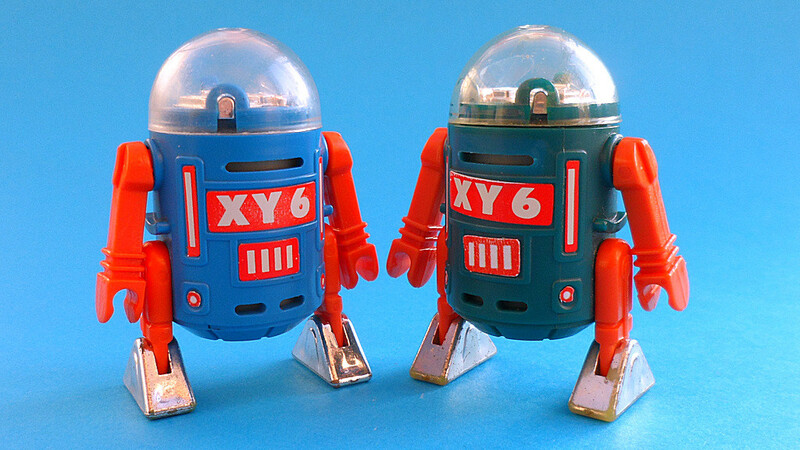 In Argentina Playmobil is licensed by Antex, for distribution in all South American markets. 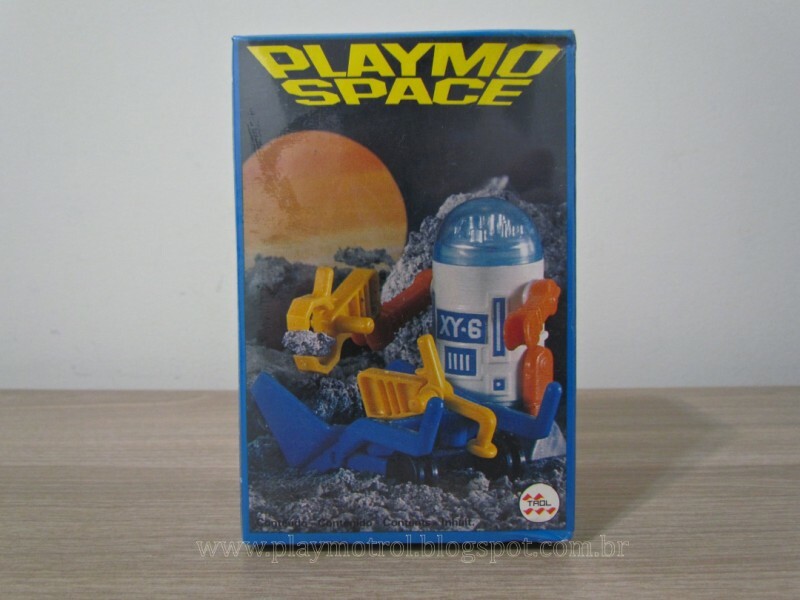 Previously Playmobil was licensed through a number of different companies, including Brazil's Trol, Estrela and Industria de Brinquedos do Amazonas, and Peru's BASA. 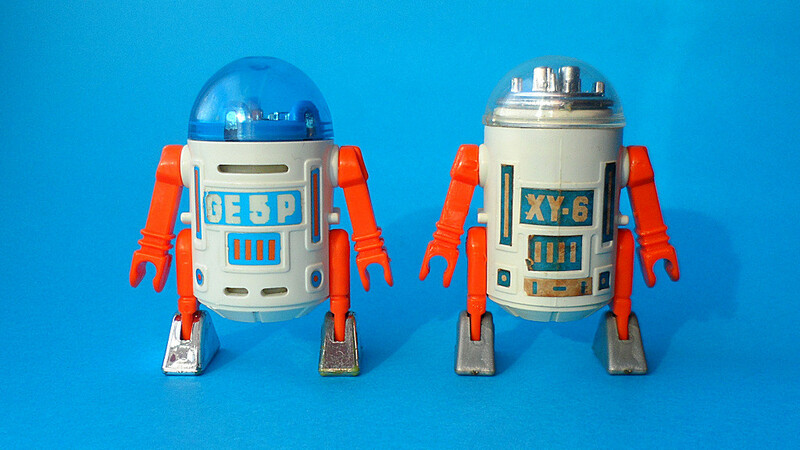 Released as part of the Playmospace series and considered by many collectors as nothing more than a licensed rip-off, both Playmobiles GE5P and his alias XY-6 both share a striking resemblance to our beloved R2-D2. 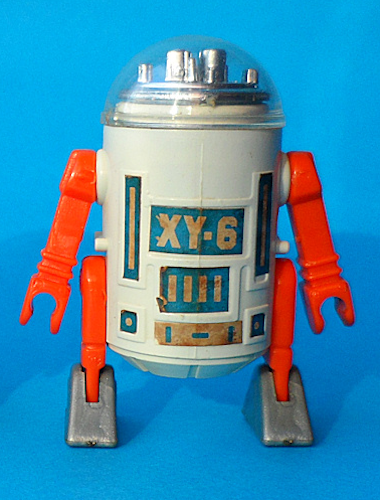 Produced between 1981-1985 several exciting and unique variations depending in which part of the world the figure was produced are available to collectors. 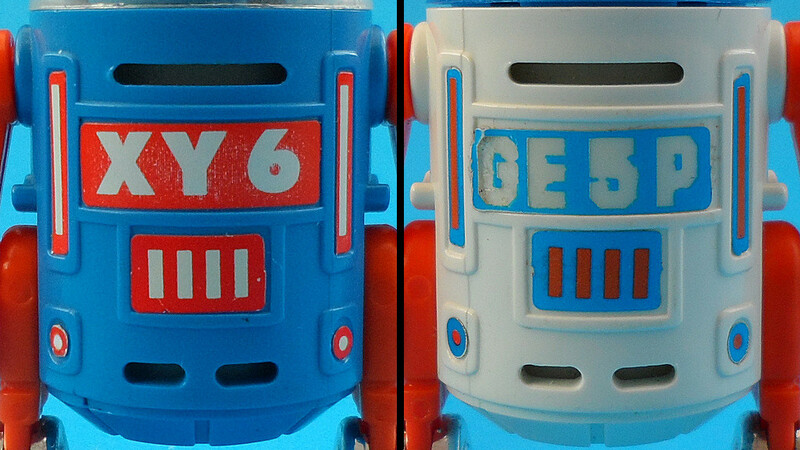 The white or blue moulded bodies are the easiest feature to spot, however the best way to categories Playmobil's GE5P robot is by examining the body mould itself. This allows the variants to be split into two main families, European produced figures and those produced in Latin American. 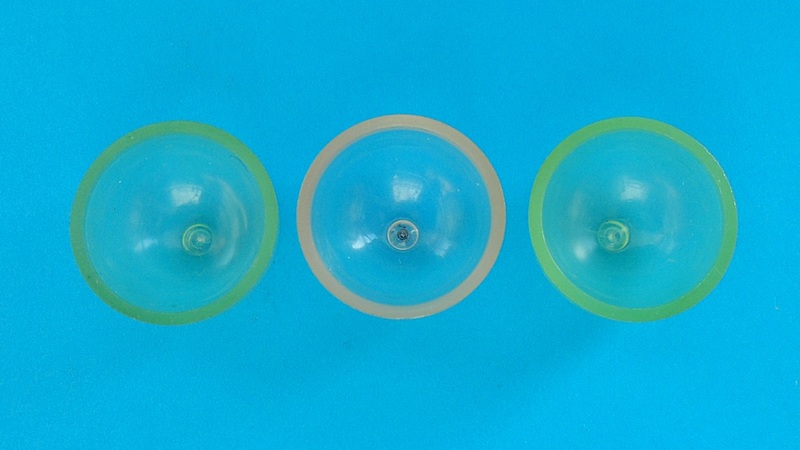 European figures were produced by three companies Germany's Geobra, Greece's Lyra and Spain's Famosa, all these share the larger diameter body and deeper domed heads. 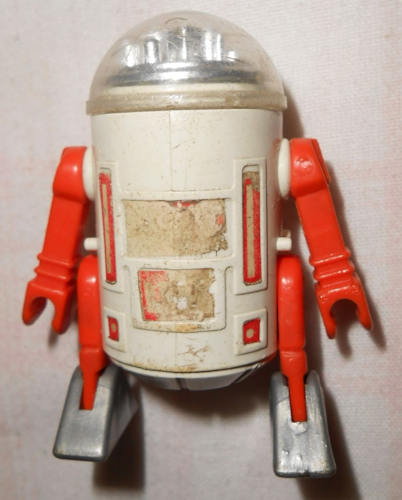 The only Latin American company to produce this figure was Brazil's Trol, and like many toys during the 80's varied significantly to the original as the robot they produced had a smaller diameter body and shallower domed head. 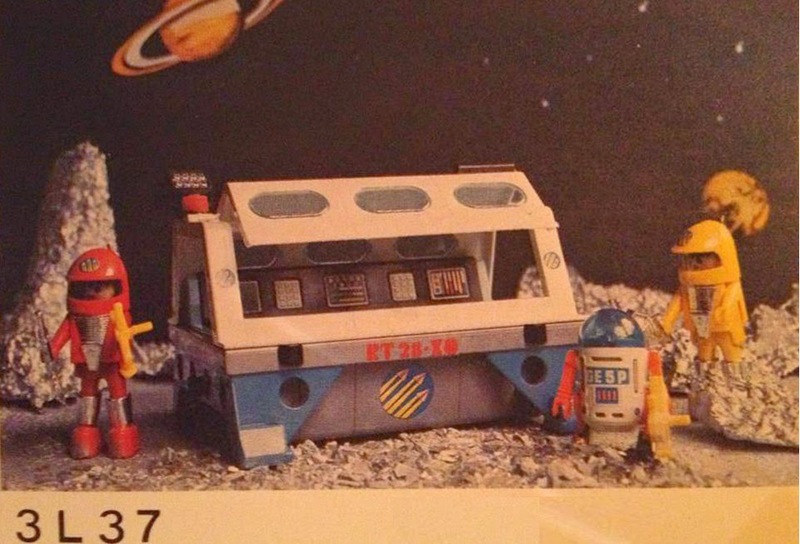 Trivia : Appearing in an early German issued catalogue dated November 1980, playset 3589 (bottom right) appears to contain a red variant of the robot. 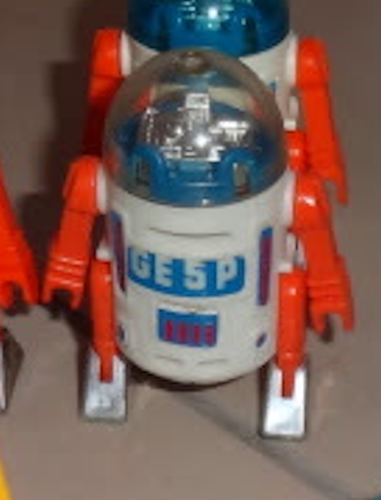 Several of the items shown in this catalogue never made it into production whilst others had there serial numbers changed. 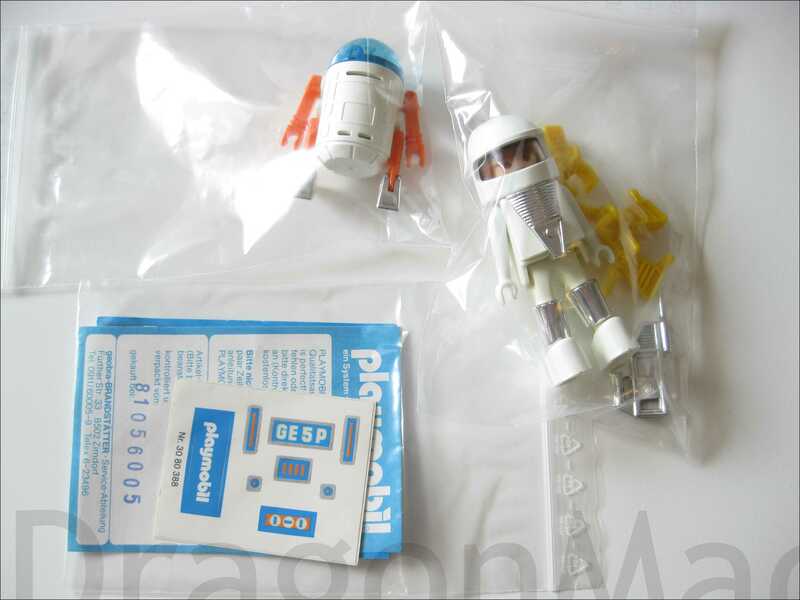 Not only did the robot figure have several production variations but so to did the packaging and playsets it was released as part of. 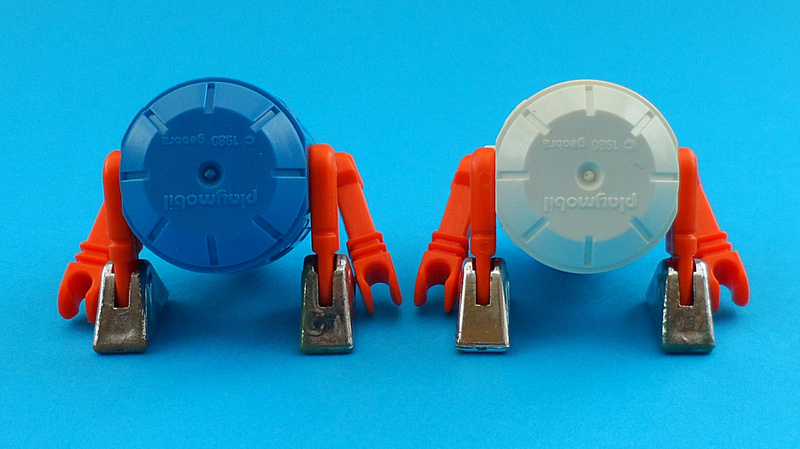 Both Lyra/Greece and Famosa/Spain obtained the rights from Geobra to manufactured playmobil products for their home markets. 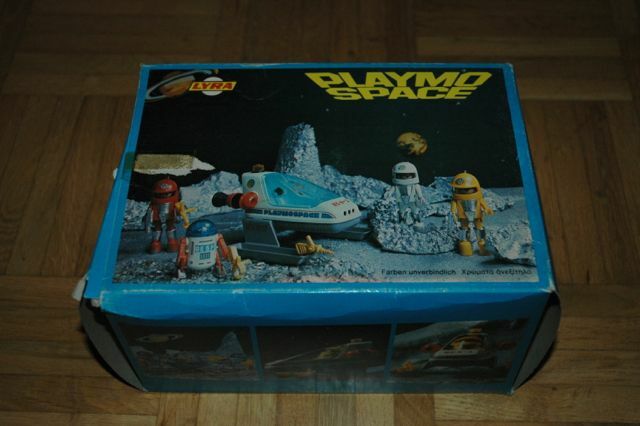 These companies produced exact replicas of the original German playsets (four digit serial numbers for example 3591), however Lyra also produced specific sets for the Greek only market. 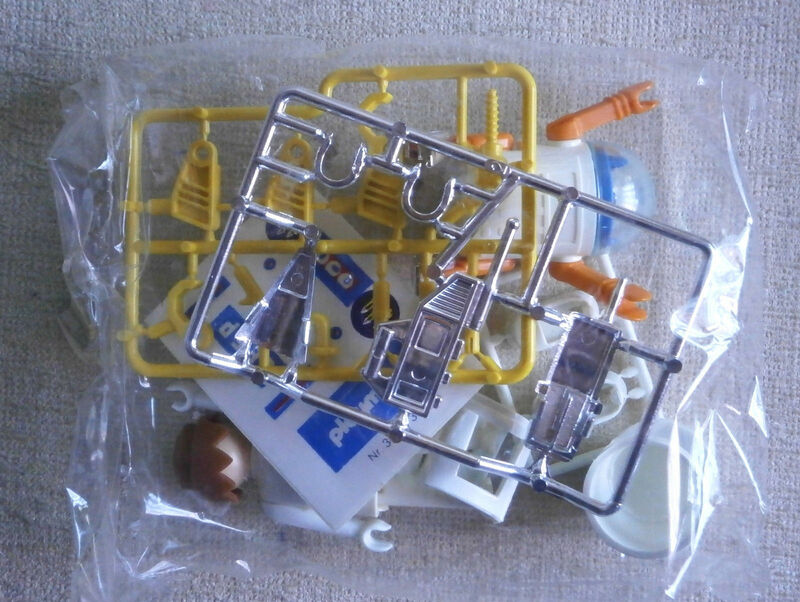 These exclusive Greek playsets contained unique parts not released in German and were issued with new four digit number serial numbers containing the letter "L" (for example 3L93, 3L95). 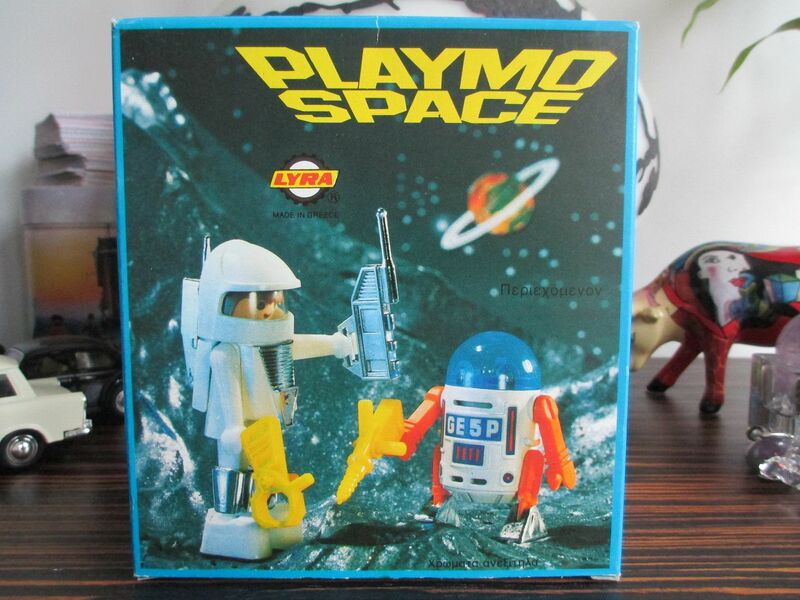 Lyra continued to produce Playmobil toys between the years 1976-1986, and it is said that they were of excellent quality and compariable to that of the original German toys making them very popular with Greek children! 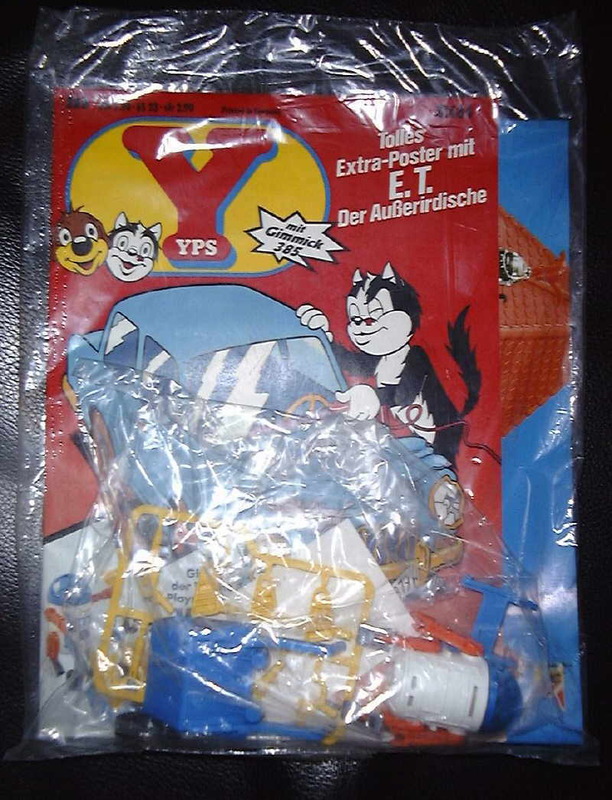 Trol on the other hand produced completely new artwork for their playset packaging and issued them with new five digit serial numbers (for example 23.78.8 ). 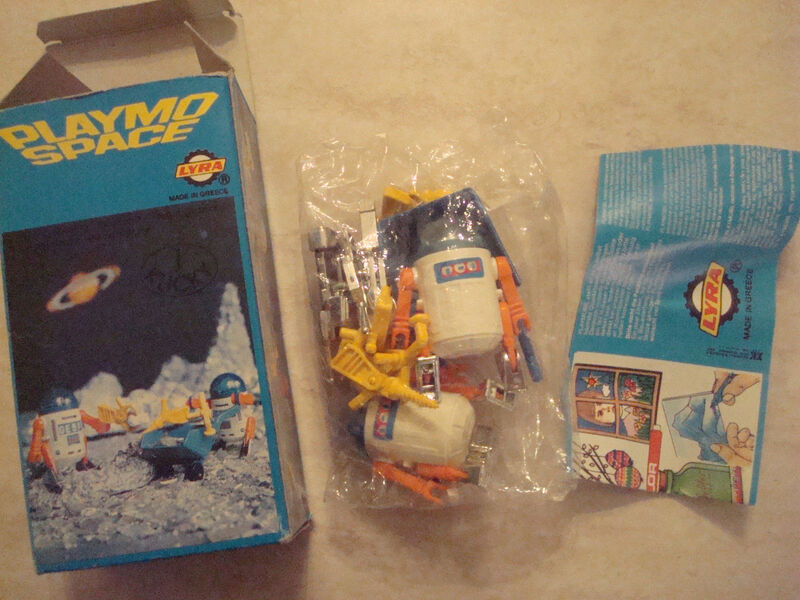 Examples of all the know playsets which contained this robot are shown below. 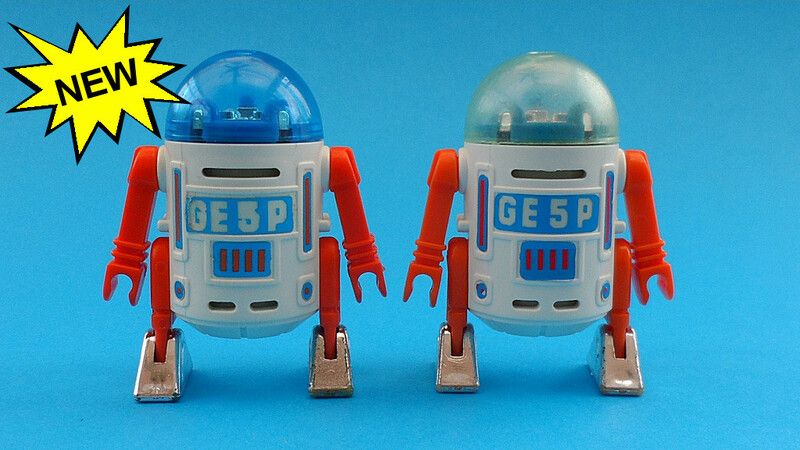 Trivia : Did you know that just like our beloved snowtrooper, the Playmo Space GE5P robot was given away as a free cover mounted gift with the German magazine YPS? 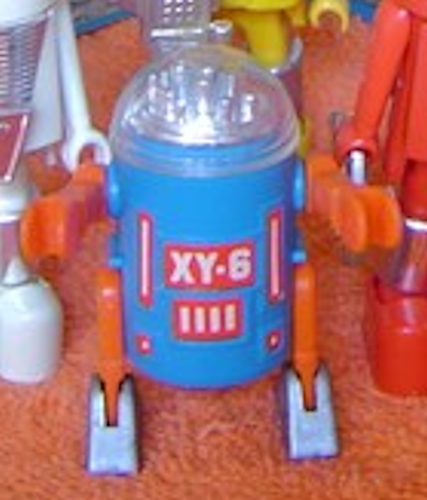 Indeed it was, published on 23rd February 1983 issue 385 of YPS did in fact include the little robot can be seen in the packaging section below. 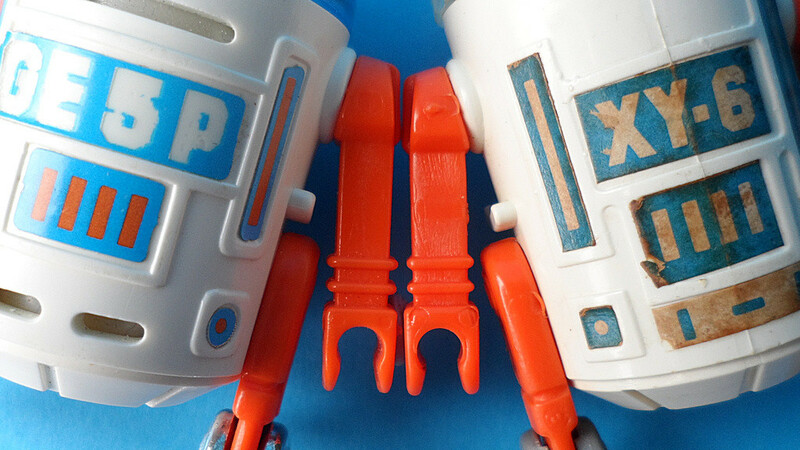 Starting in 1976 TROL produced the Playmobil range under license for the Brazilian market. 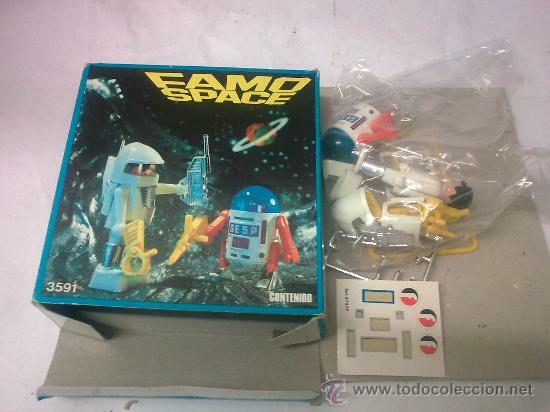 The factory eventually closed it's doors in 1988 and the license was picked up three years later by Estrela. 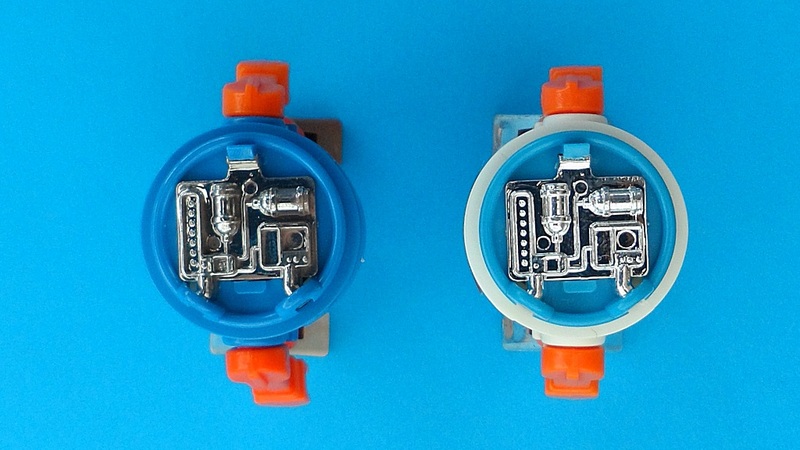 Antex currently holds the license for distribution in all South American markets. 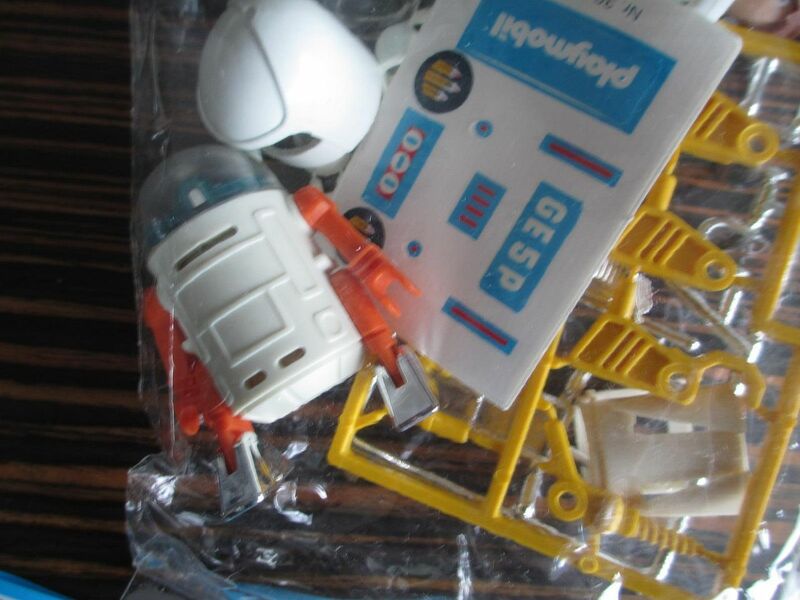 Whilst most on the South American Playmobil sets were reproductions of the original Geobra items some were customised for the Brazilian market, most noticeably the faces on some figures were changed to a brown colour. 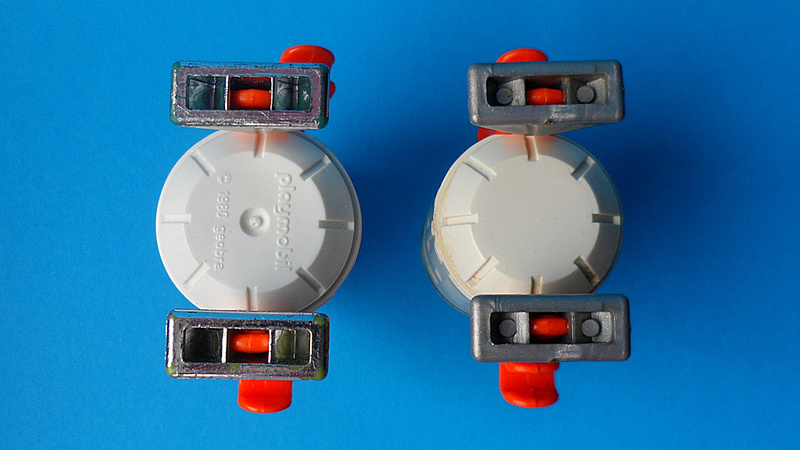 Trol variants can also be identified due to their unique materials, mould details and packaging. 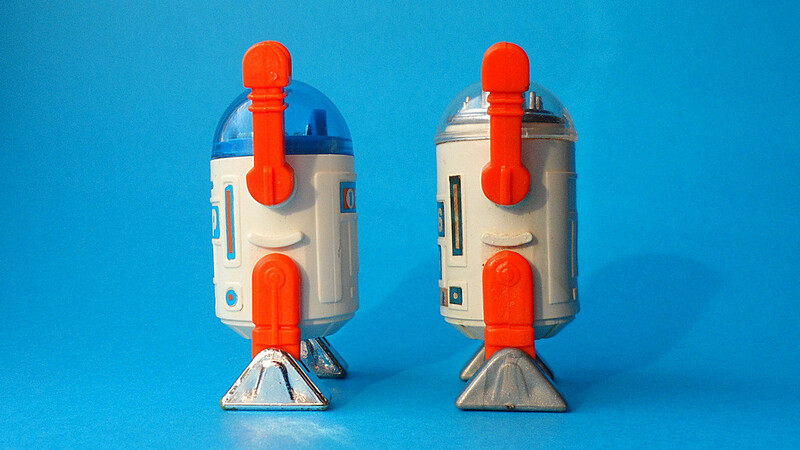 This guide aims to document these differences and allow variant collectors a single point reference guide to aid their collecting. 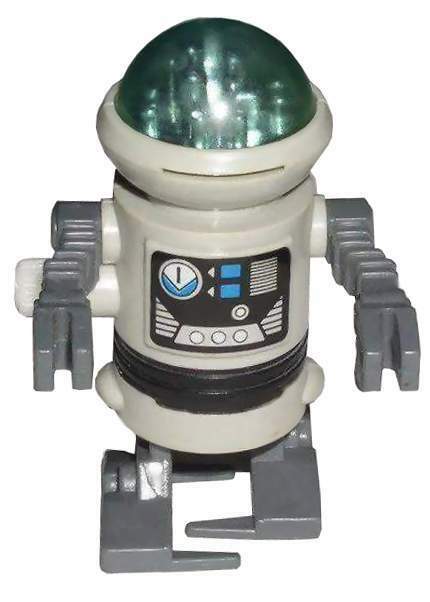 The Geobra robot belongs to COO family #I, where as the Trol variant produced exclusively for the Brazilian market belongs to COO family #II and lacks any copyright information on the underside of the figure. 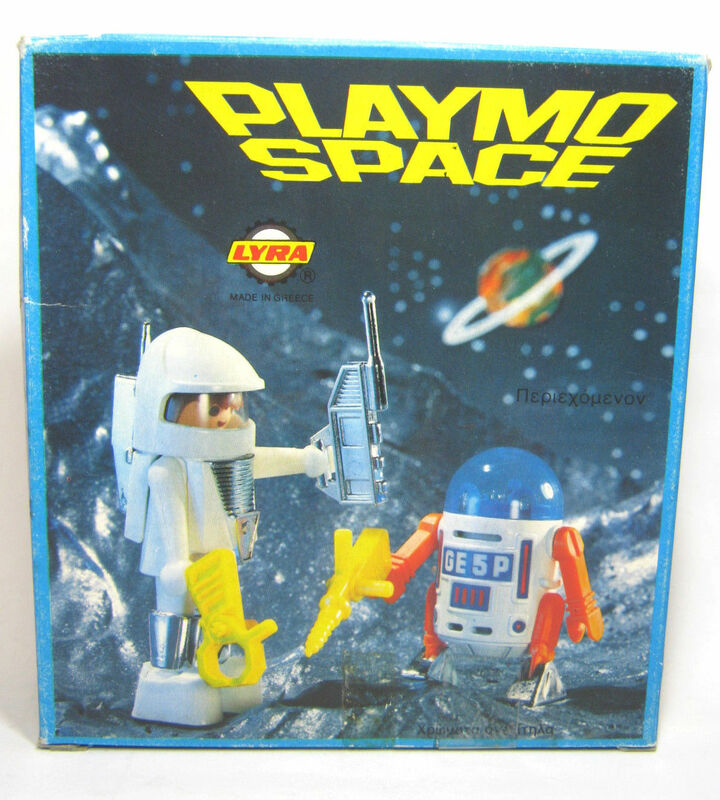 During the late 70's Lyra obtained the rights from Geobra to exclusive manufacture and supply the Greek marketplace with Playmobil toys. 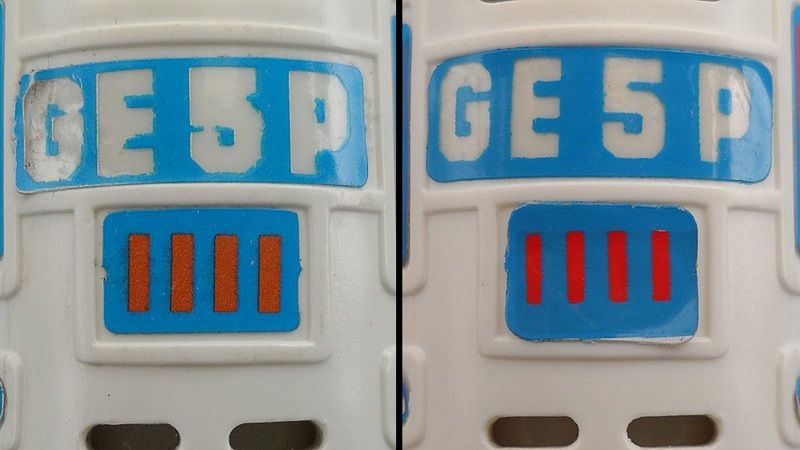 Many of the playsets were replicas of the German counterparts and carried the same four digit serial number i.e. 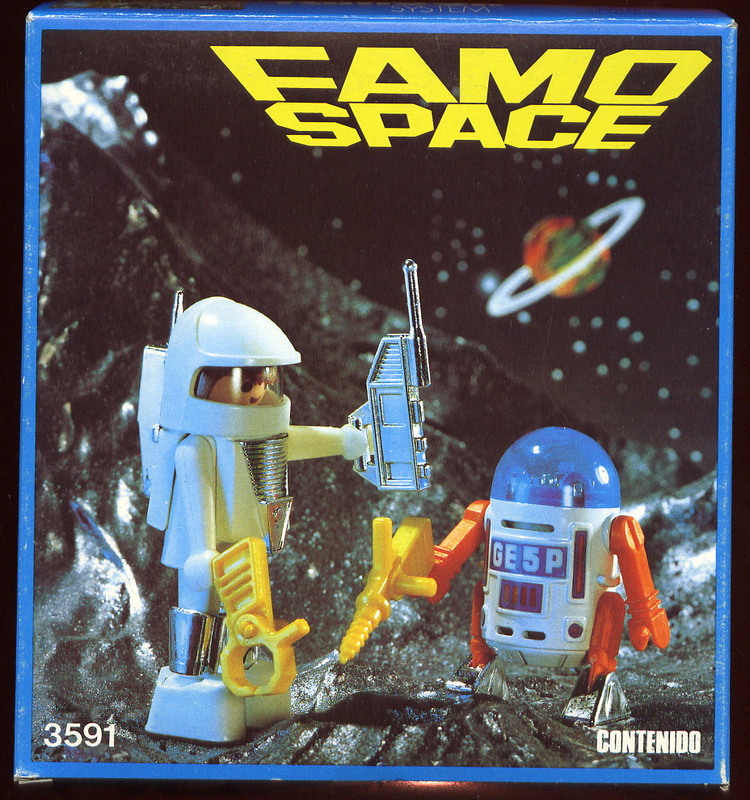 3591 (Astronaut & Robot). 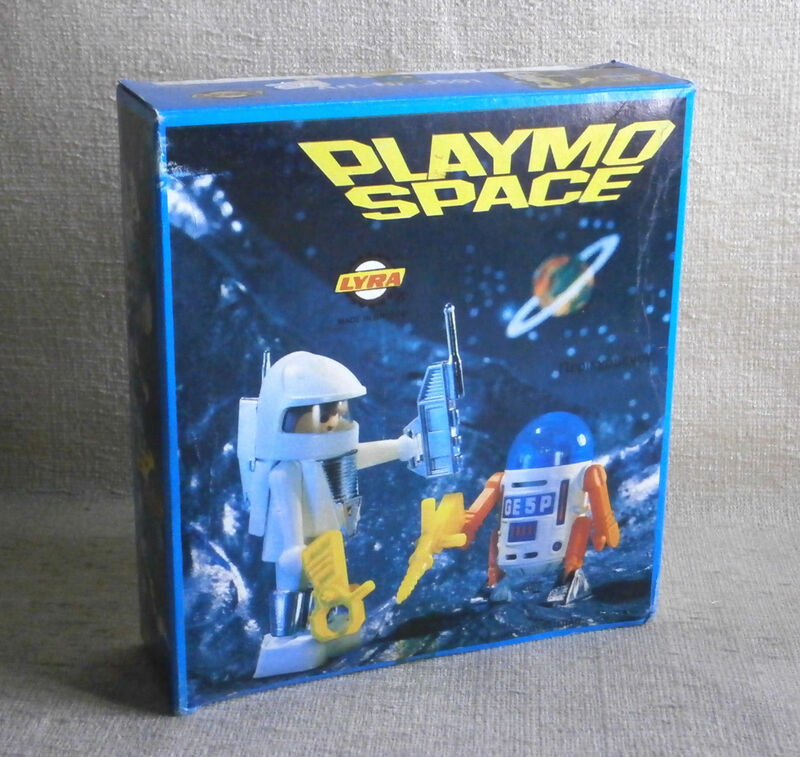 However Lyra was also given the freedom to produce exclusive playsets for their home market, these exclusive playsets can be identified by either a 'NEW' logo on the outer packaging or the use of an 'L' in the playset serial number i.e. 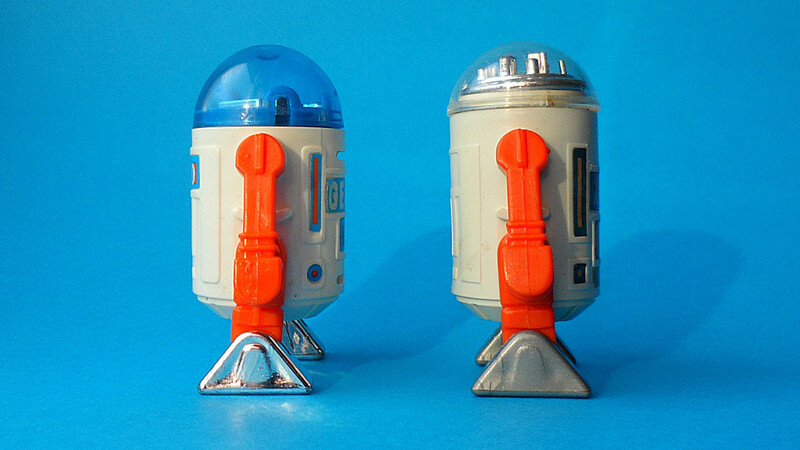 3L93, 3L95. 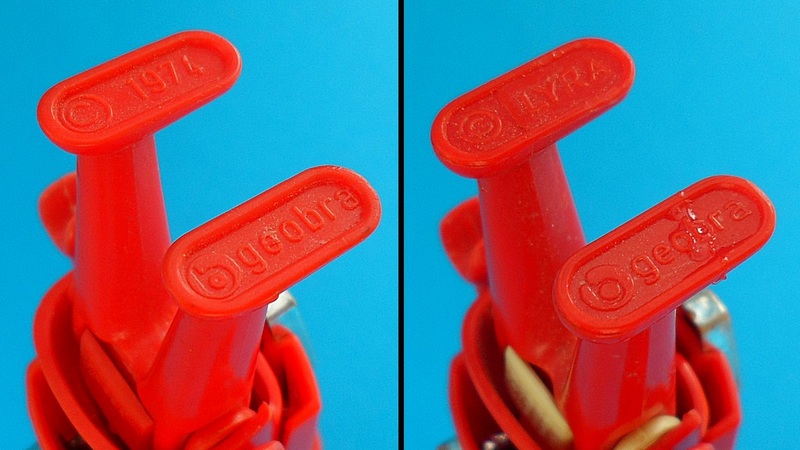 Apart from the materials used the Lyra figures do not appear to have any sculpt differences compared to there German counterparts and therefore it can be assumed that Lyra acquired a set of models directly from Geobra. 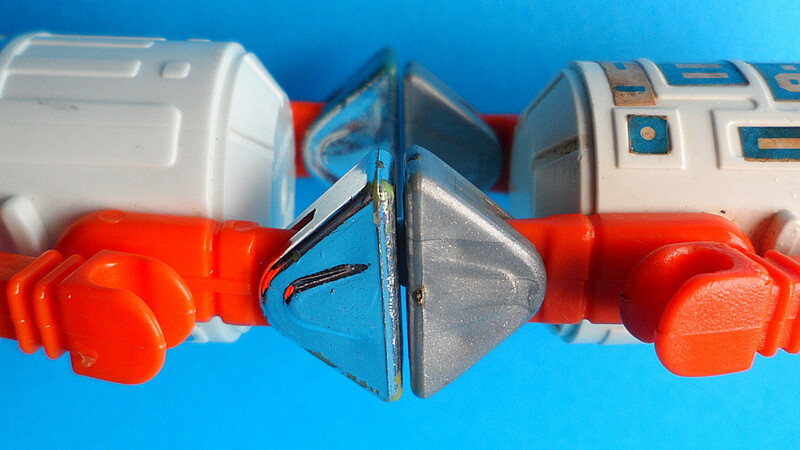 However there is one obvious change that Lyra made to the steel moulds. 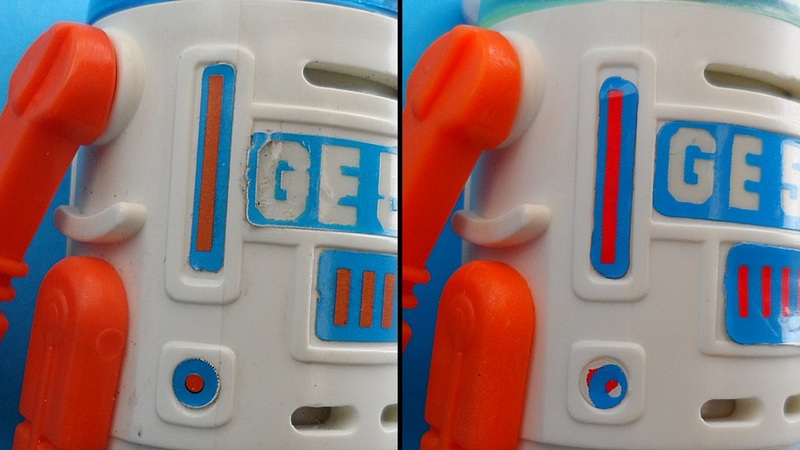 The COO markings on the underside of the action figures right foot was altered replacing the '1974' stamp with 'LYRA', strangely enough the opposite foot still carries the 'geobra' copyright. 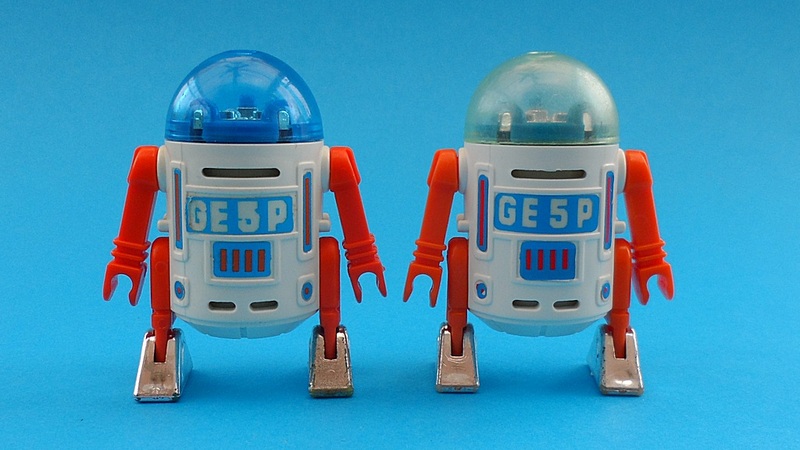 Unfortunately for 'Star Wars Bootleg' collectors the COO on the robot was not changed and therefore remains identical to Geobra and therefore both Geobra & Lyra belong to the same #1 COO family. 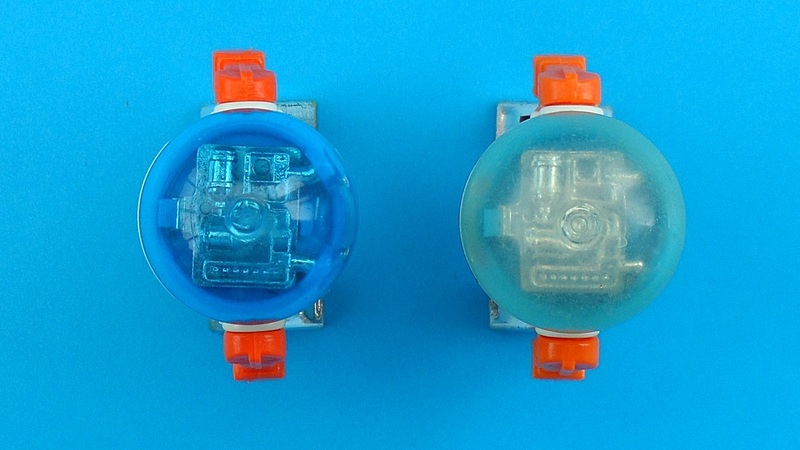 Comparison photo showing Lyra 'Light' Blue compared to Lyra 'Sunburnt' Blue on the right. 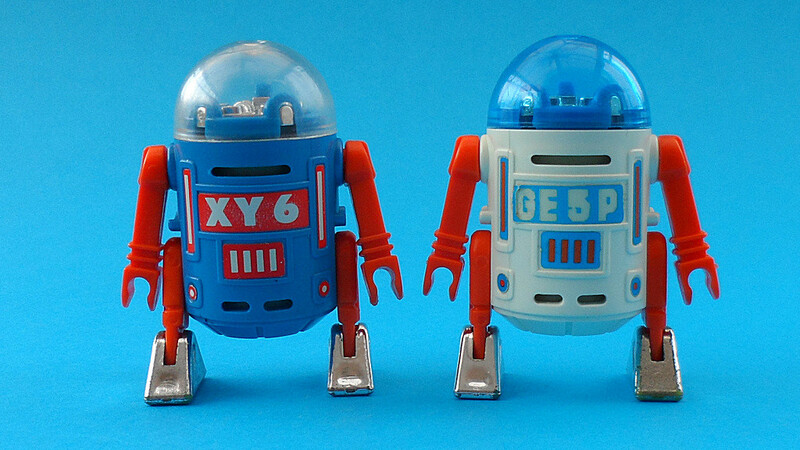 Geobra released both a white and blue variant of the Playmo Space robot through out Europe (excluding Spain & Greece). 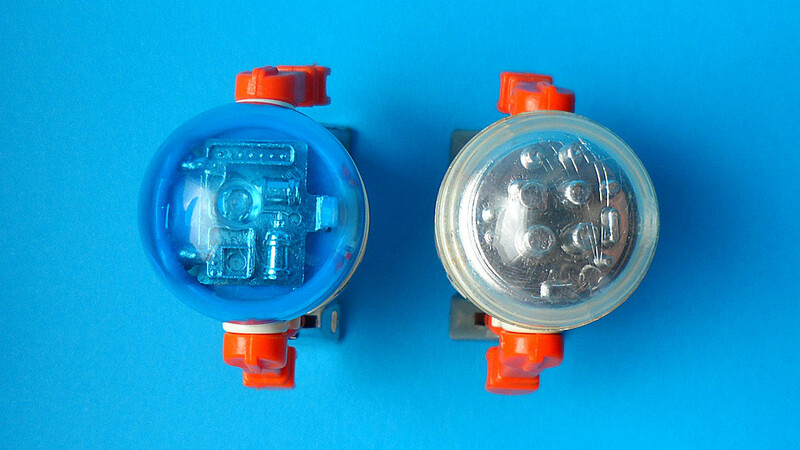 The blue variant can be found more so in the UK and Germany and unlike the white variant which can be traced back to a particular set (serial number 3591) the origin of the blue variant has never been confirmed. 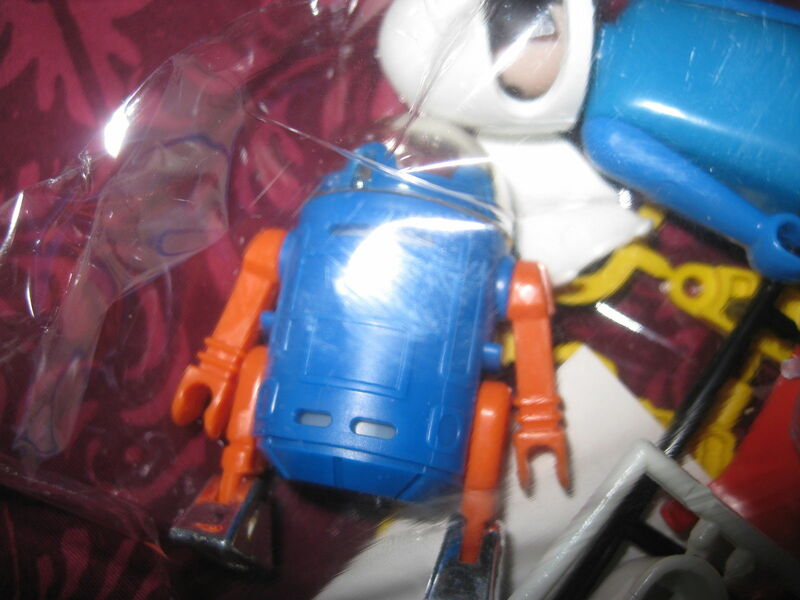 It is claimed on some Playmobil collectors sites that the blue variant was indeed a promotional figures, yet no proof of this has surfaced either. 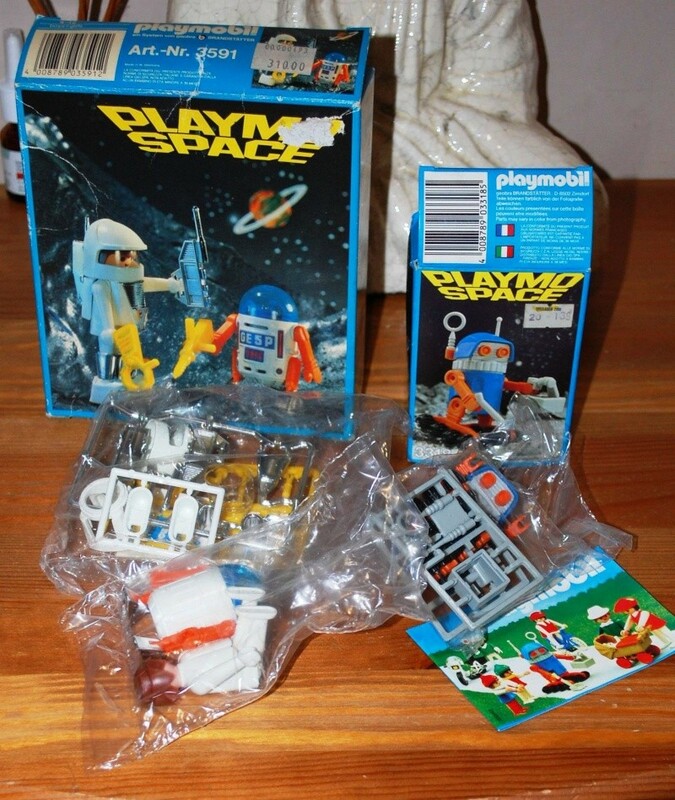 One thing which could back this claim up is that Playmobil were well know for running promotions though magazines, airlines and fast food restaurants which offered limited production run exclusives. 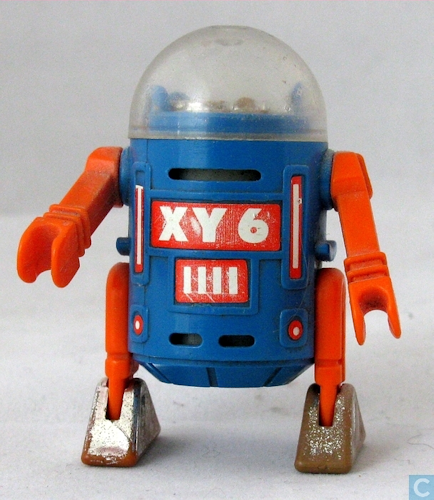 - A new character name XY6 which was also used by TROL in Brazil. 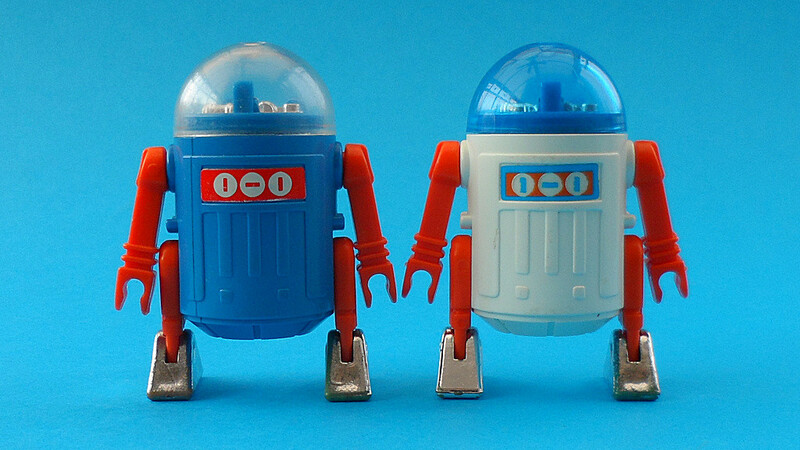 Beware there are many Greeny-Blue robots for sale on the open market. 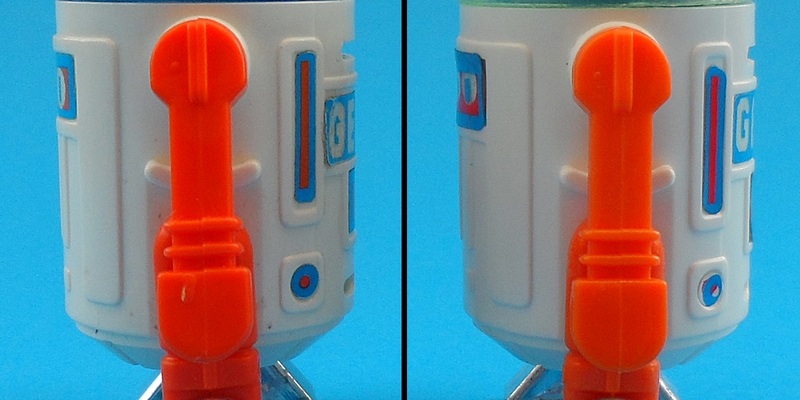 These are nothing more the badly degraded/sunburnt figures as the comparison photo below shows. 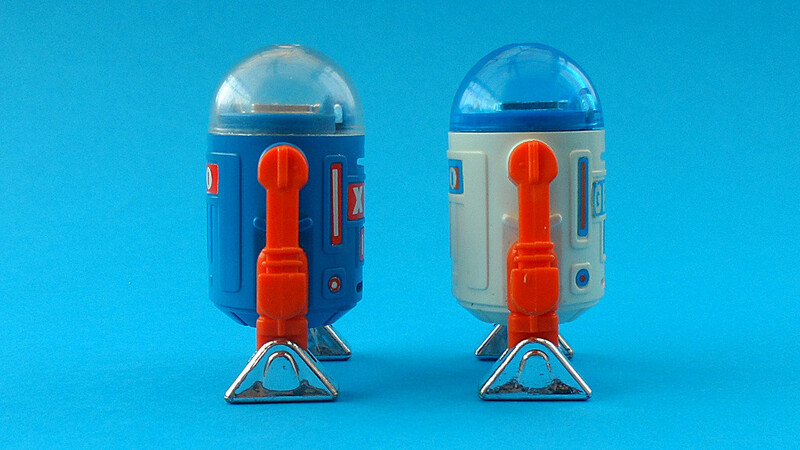 This is great...never heard of the brazilian ones! 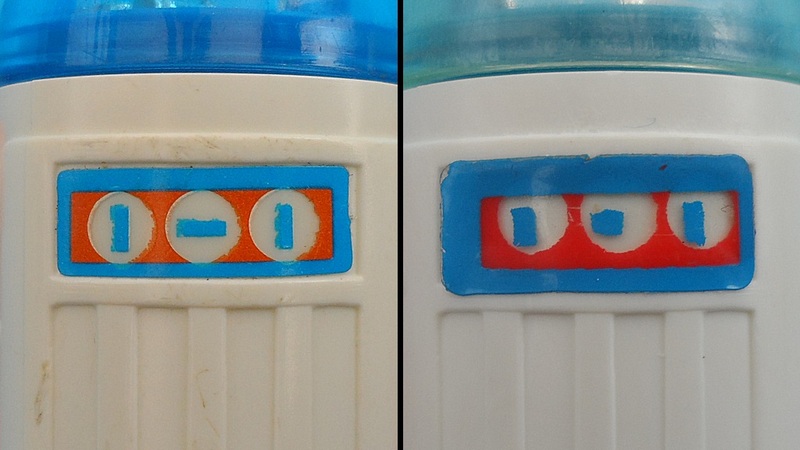 I have a blue and white German one....(blue one is with XY-6) and always thought this is a confirmed sample?!?!?!? ...wait a second. 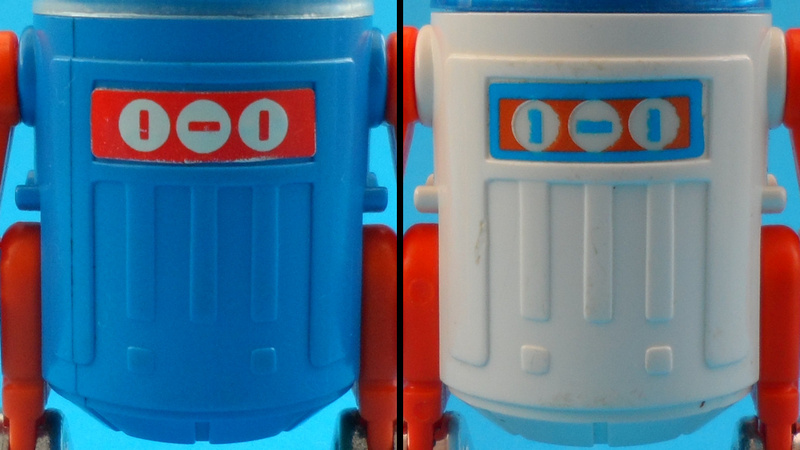 The inner part of the TROL Robots were familar to me. 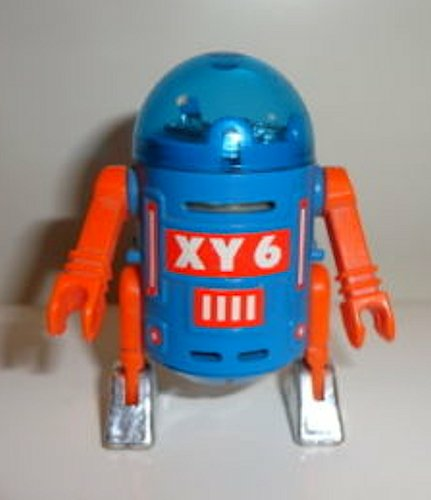 I thought them to be the same as on some of my wind-ups I had as a child. I guess you can strike that "give away". 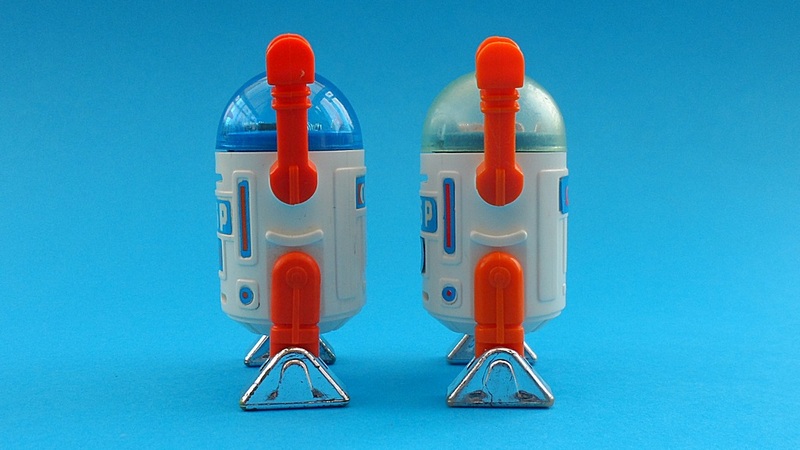 Seems to be a mixed up figure ?!?!? Hmmm that is very interesting?!?! 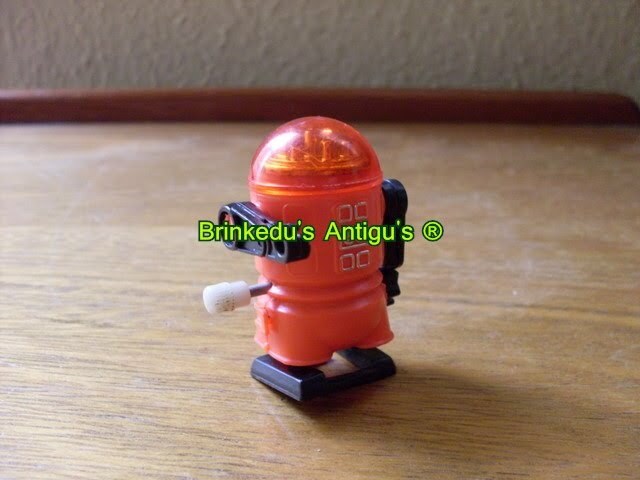 ...even the same manufactorer...TROL! 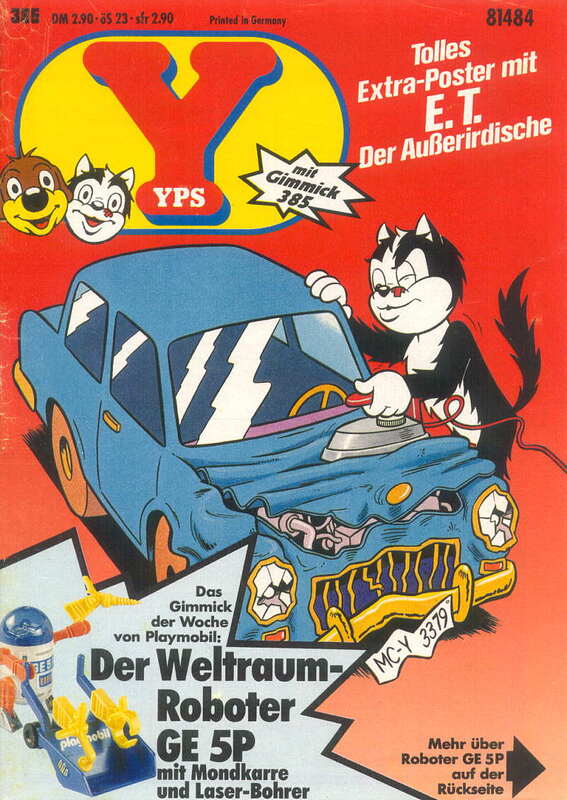 But also knock-offd...I had the European version! 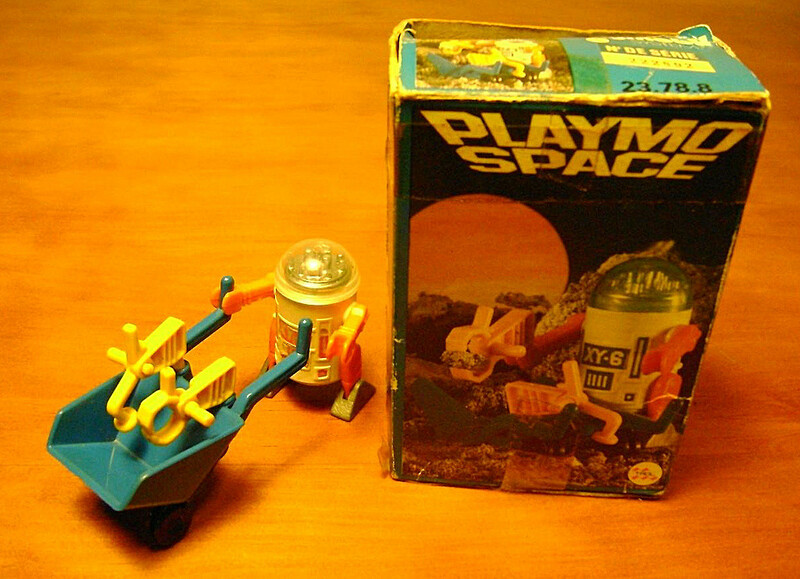 Interesting they mixed up Playmo with a wind-up! 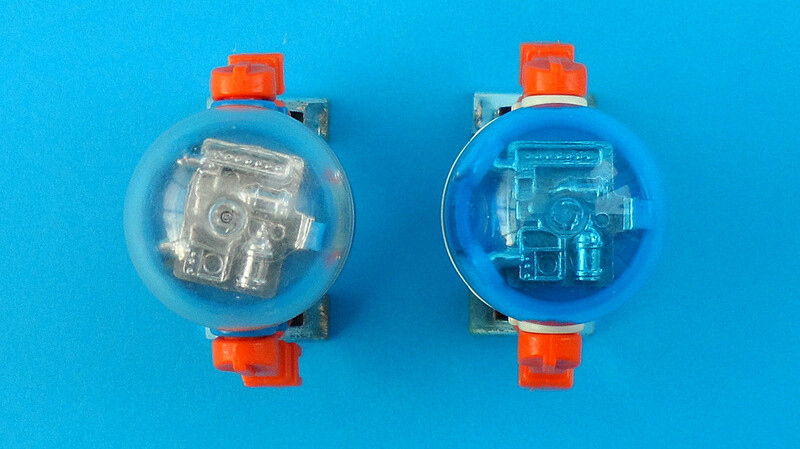 @Wolff....Maybe that explains why TROL reduced the diameter of the body, so it fitted an existing 'tooled' dome and brain?? @OCS....For a minute there I thought you were going to warn me of possible fake read domed ones LOL!!!!! 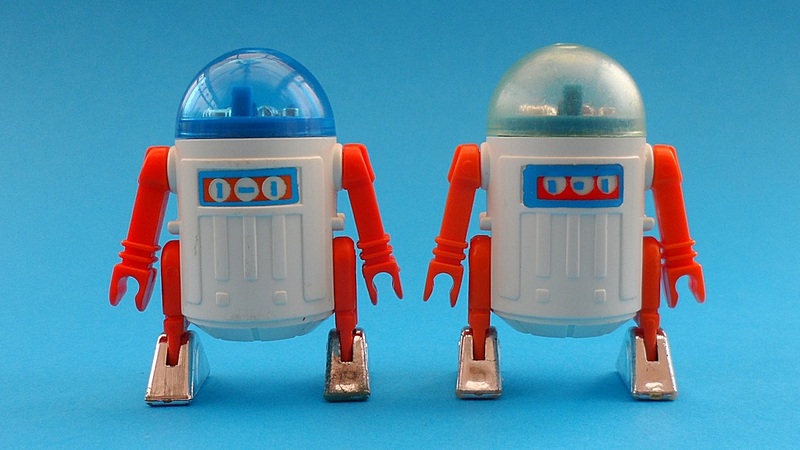 ha...they grey one below on James post is the one I thought of! 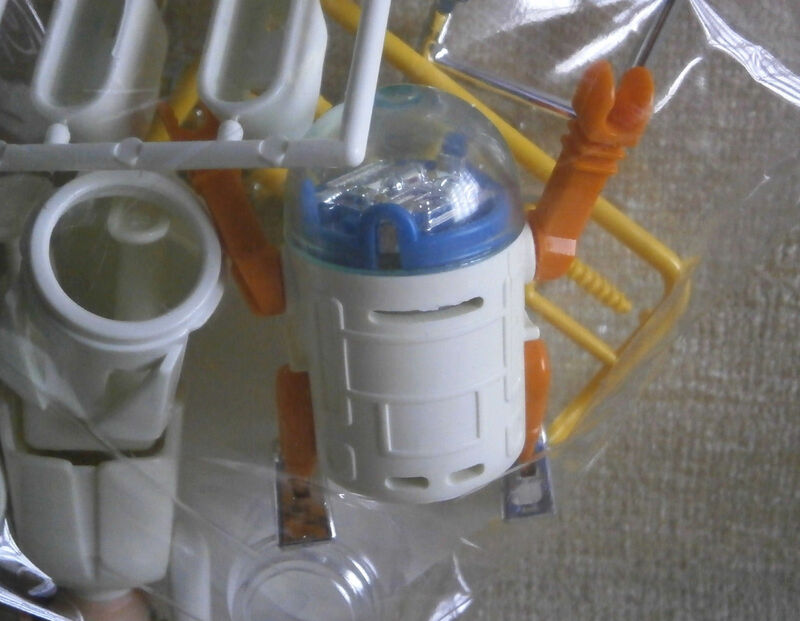 Same "brain" mold??? 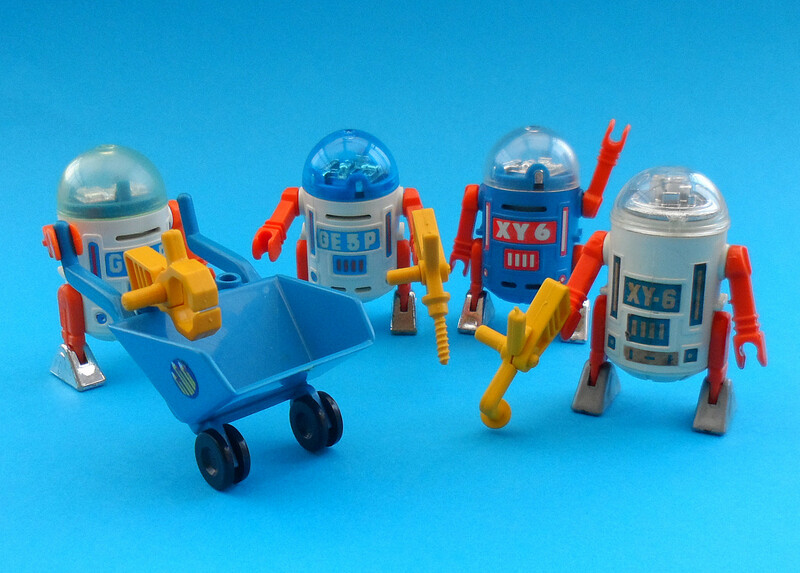 Cheers A playmobil collector was kind enough to send me some nice photos so I'm planning to add more details about the Euro variants very soon.... so stay tuned! Excellent article, I love it. 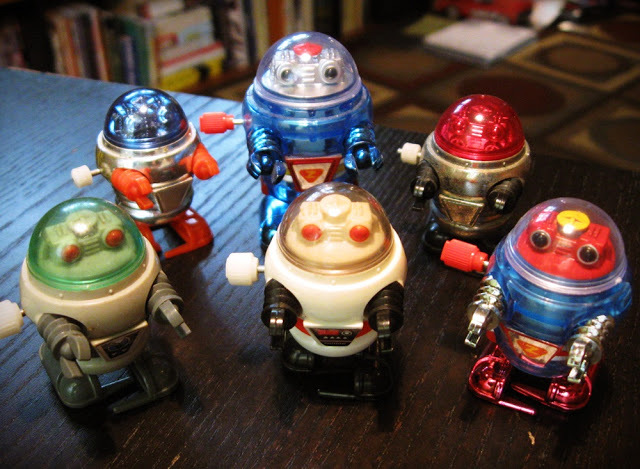 I have been trying to find those robots but they are not easy to come across. 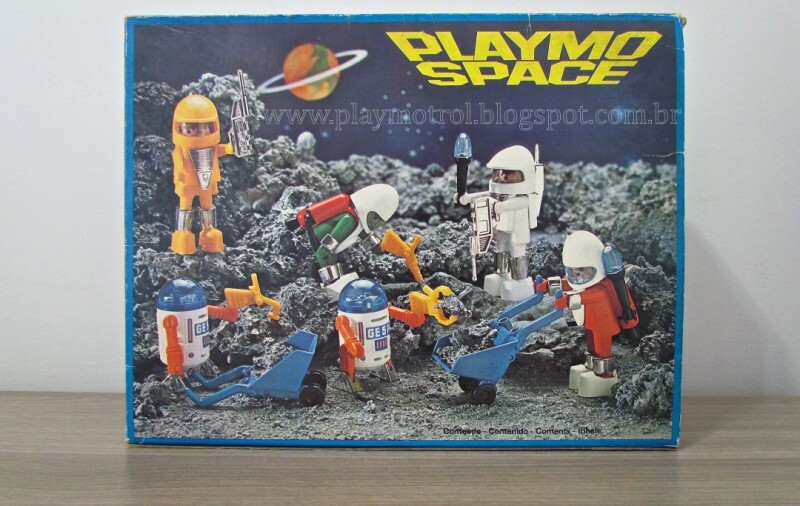 I do a lot of fleamarkets, I see a load of playmobs but rarely from the vintage space range. 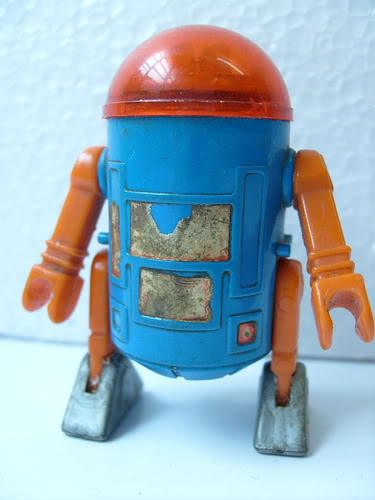 I wonder where Ozio got this one from? 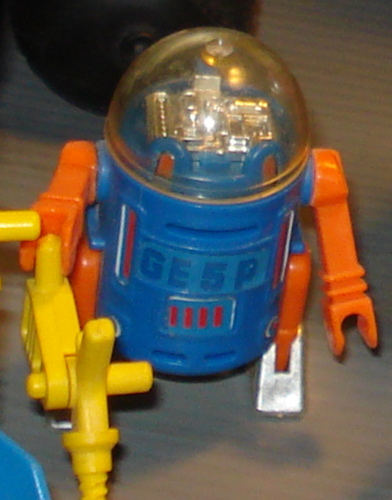 Geobra has a slit in the torso.,...trol doesnt...this is a trol to me! I couldn't tell on my phone the picture was way too small. Suppose I best message ozio about his blue TROL? Thanks Stef. I am very pleased with this MIB Lyra version. 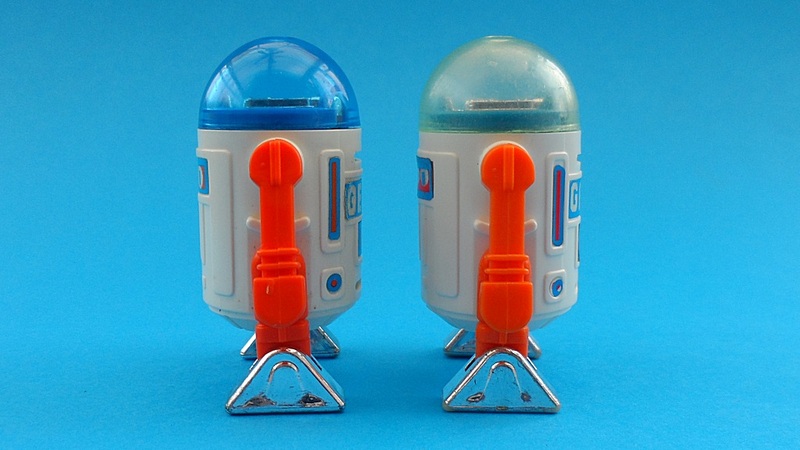 After reading your great research here and digging up my own childhood Playmospace at my parents place, I decided to start a little side focus around this R2 knock off. A welcome change after focussing on POCH/PBP too much. A very minty German box. 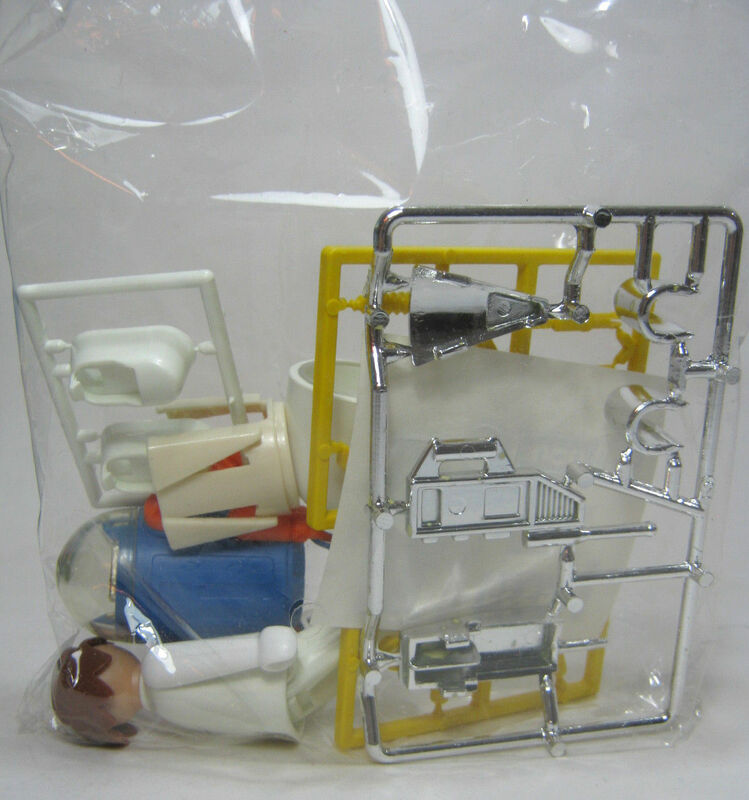 So this version came with two bags in the box? 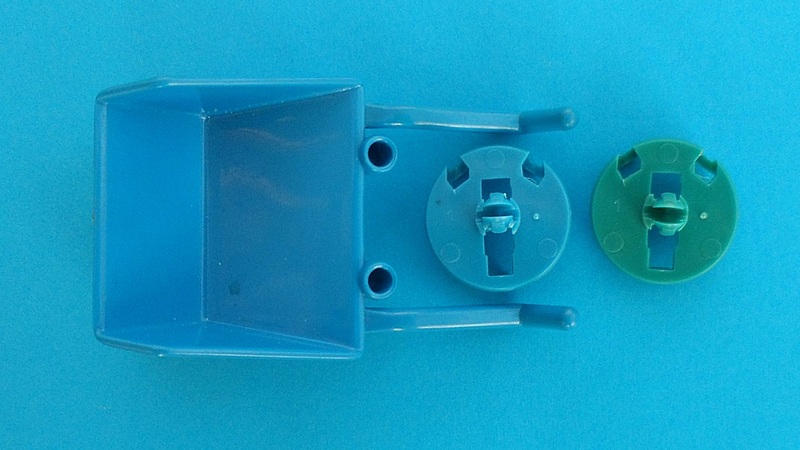 One for the two figures and one for the accessories on a sprue?